FRAMINGHAM, Mass.--(BUSINESS WIRE)--Sep. 24, 2013-- Staples, the world’s largest office products company and second largest internet retailer, today announced Staples Connect, an exclusive offering which lets customers’ home or office technology interact and be controlled by a single app. With the touch of a button, Staples Connect lets customers shut down their office, turning off lights, lowering shades and locking doors, while at the same time turning on their lights and heat at home. Staples Connect consists of a multi-platform app and universal “Hub” that allow a multitude of devices to talk to each other. 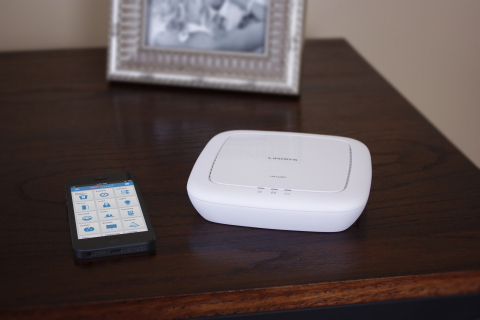 The Staples Connect Hub, powered by Linksys, will be available online and in a limited number of Staples stores for $99 this November. Customers can hand-pick products from some of the biggest names in lighting control and lighting, like Lutron, Philips and GE, leaders in climate control such as Honeywell, and trusted safety brands like Yale and First Alert. Staples Connect uses a platform developed by Zonoff Inc., which features a free, single app. "As a leading retailer both online and offline, Staples is in an ideal position to drive mass market adoption, to both homeowners and small businesses," explained Mike Harris, chief executive officer of Zonoff, Inc. “We are pleased that Staples chose Zonoff as the system to bring together a world-class lineup of partners under the Staples Connect banner." Staples Connect is easy to set-up for consumers, but installation will also be available through Staples EasyTech Services. Customers can either select a starter kit or choose specific products and services to start with, and add new devices as they go. The new interactive Staples Connect retail kiosk, which will be in select stores this November, will be on public display for the first time at the GigaOM Mobilize event to be held in San Francisco, CA on October 16th and 17th. To learn more about how Staples Connect works and the types of products and services available, please visit www.Staples.com/StaplesConnect. Staples is the world’s largest office products company and second largest internet retailer. For 27 years, Staples has served the needs of business customers and its vision is to provide every product businesses need to succeed. Through its world-class retail, online and delivery capabilities, Staples offers office supplies, technology products and services, facilities and breakroom supplies, furniture, copy and print services and a wide range of other product categories. With thousands of associates worldwide dedicated to making it easy for businesses of all sizes, Staples operates throughout North and South America, Europe, Asia, Australia and New Zealand. The company is headquartered outside Boston. More information about Staples (Nasdaq: SPLS) is available at www.staples.com.